Perhaps most unexpectedly, there was a recent announcement that a new volume of the series is coming soon! Well, sort of. New Scary Stories to Tell in the Dark is due out some time this year, and while details are somewhat sparse at this point, the fact that we will soon have a new book bearing the hallowed title of the legendary horror trilogy is certainly cause for celebration. Having said that, there is one element of the upcoming book that I feel the need to address: the artwork, or lack thereof. 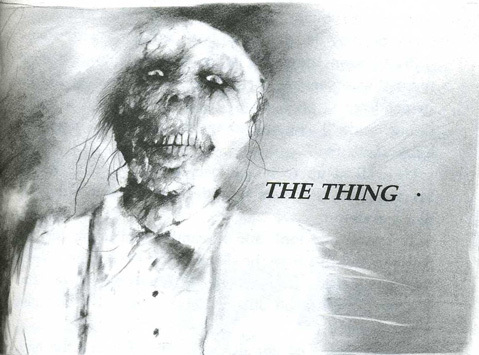 As far as I can tell, original illustrator Stephen Gammell has not been confirmed to be participating in this project. And this is disturbing because frankly, I feel he must be involved if at all possible. 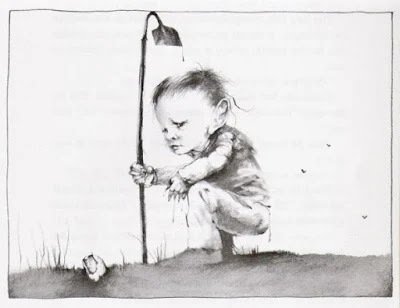 New Scary Stories aims to recapture the feel of the original books, despite the unfortunately necessary absence of original writer Alvin Schwartz, who passed away in 1992. The submission criteria for the project has me extremely optimistic that the editor has a good handle on what makes for interesting, thematically appropriate material in a horror book aimed (primarily) at youngsters. Frankly, I wish I had known about this project earlier, as I would have submitted a story for consideration myself! Still, you’re dealing with a bit of a paradox here: you want the stories to be strong and impactful, but the more detailed they get, the less they resemble the material they’re paying homage to. You see, the original Scary Stories to Tell in the Dark are, by and large, brief and broadly drawn, conveying enough information to give the reader a sense of what is going on without elaborating too much on the minutiae of the individuals and events described. They are, after all, meant to be told in the dark…it’s right there in the title. As such, they are more like archetypes than fully fleshed out short stories (with a few exceptions), that readers can remember and retell with their own flourishes. These books are compendiums of folklore, much of which has been passed down through the ages through the fine oral tradition, mutating with each iteration. New Scary Stories to Tell in the Dark, on the other hand, looks to be a compilation of what are unmistakably original short stories, perhaps steeped in lore and tradition, but nonetheless more polished than the material from which they draw inspiration. And honestly, I think that’s great! It's also, unquestionably, quite different from the originals. But that’s alright, because the stories themselves are not the only potential connective fibers between installments. 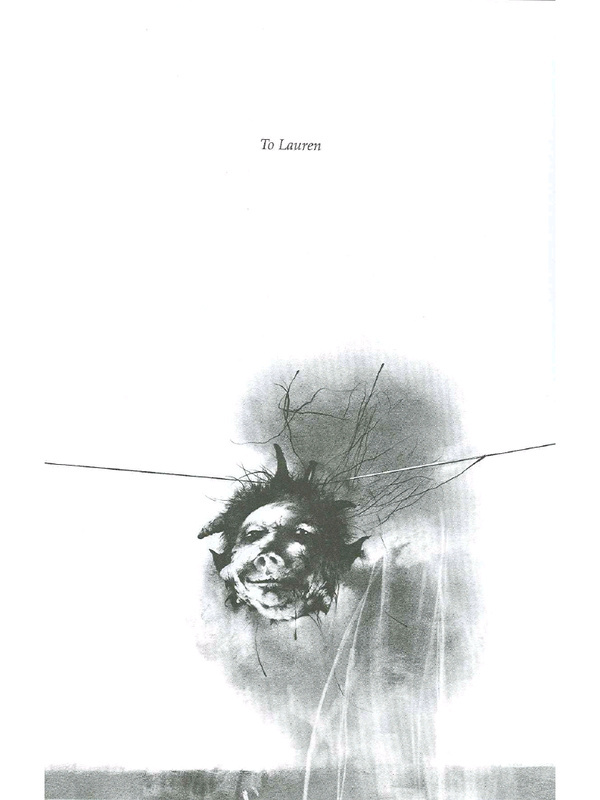 We still have Stephen Gammell’s illustrations. Simply put, the illustrations ARE Scary Stories to Tell in the Dark. There are numerous similar compilations of horror for young people, and though each of them has their own spin on the theme, the fact is that many of these tales appear over and over with minor variations, and certain archetypes (and again, Scary Stories was at heart a collection of horror archetypes) are absolutely ubiquitous, to the point that I sometimes have a hard time recalling which book had which version of which story. I mean, Scary Stories even ended up repeating itself after a while, and it was only three volumes long! But the illustrations? Those are absolutely unique in their appearance and effectiveness. They lend a hellish power to these tales, an ichor-dripping, betendriled immediacy that haunts you long after you’ve hidden the book back on the shelf amidst its less eldritch brethren. They have become, in large part, the very soul of these books, the key to their identity. Which is why, when the aforementioned changing-up of the books’ illustrations came to pass years ago, there was such a heavy backlash. I’m not going to rehash what so many have already written about in depth, but the crux of the matter was that, even if the new imagery was perfectly fine and well-crafted on its own, they made the books feel like something else. Scaryish Stories, if you will. Now look, I don’t pretend to have some insider info on this whole project. 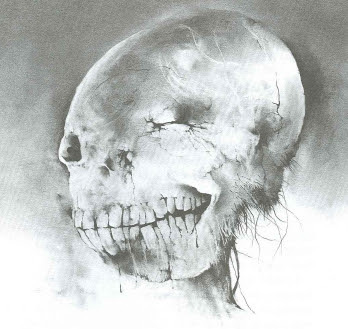 For all I know, Stephen Gammell is illustrating it and it hasn’t even been announced yet. Maybe Gammell just doesn’t want to do it, which is entirely within his rights. Maybe it’s not being illustrated at all. Certainly, if the book is coming out relatively soon and the story lineup has been set for months, these decisions have likely already been made. 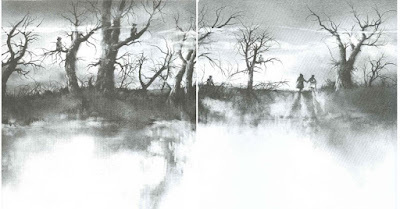 But if there is any ambiguity here, any hesitation on the publisher’s part whatsoever, then I simply make the following statement: do what you have to do to get Stephen Gammell on board. Back up the Brinks truck to his front door and see to it that he has whatever refreshments and creature comforts he desires. Make it happen, and give the people what they want. I promise you, however much it may cost you to hire him for the project, it will absolutely pay for itself in terms of increased sales. 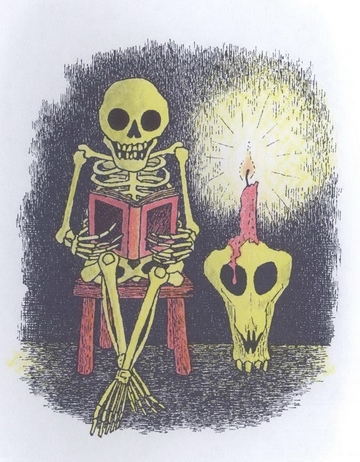 The sad fact is, Alvin Schwartz is gone, and short of some 2Pac-esque unreleased scary stories from the vault, his work on the series is done. George Irving, who so masterfully narrated the audiobooks for the original trilogy, has left us as well. The only vestige remaining of the original team is Gammell, and quite frankly, if the publishers are going for authenticity, he needs to be involved. Otherwise, why bother even naming this after the original series, other than cynical brand recognition? If the illustration-swapping fiasco is any indication of the potential reaction to this, would the negative word of mouth even be worth it? Basically, New Scary Stories to Tell in the Dark could either be a release or an event. 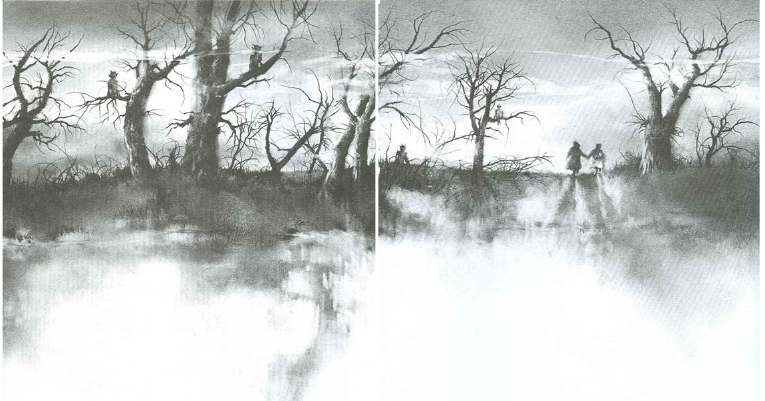 Stephen Gammell’s presence is what will differentiate the two. Either way, I’m certainly excited for the book, but if Gammell’s involvement is confirmed, I’ll simply be over the moon. By all indications, I’m not alone. And besides, some illustrations will really punch up my inevitable Power Rankings article for the book, don’t you think? For real though, how great are those film teasers? 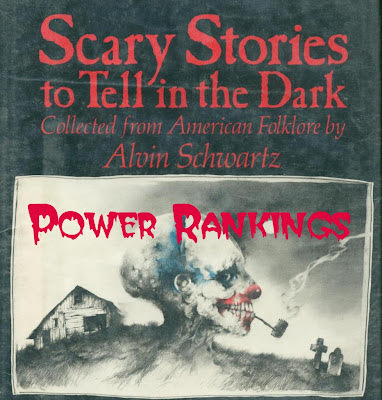 Joey Marsilio has written extensively about the Scary Stories to Tell in the Dark books, most notable in his Power Rankings Series (Part 1, Part 2, Part 3). He also wrote the novel Henry Garrison: St. Dante's Savior, and will probably have a lot more to say about the various Scary Stories projects later this year.